My sweater is still on the needles, in fact I'm still on the first sleeve! I continue to work on it a little bit each day so I'm making progress but it's slow progress. So instead of focusing on the sweater sleeve construction, I cast on another project! Doesn't everyone do that? It's like starting a new dessert while another dessert is still available. However, I will not throw my half eaten dessert (sweater) into the freezer (bottom of the knitting bag) to preserve it, promise. My new project is a wurm hat and it will be the fifth time I've knitted it. However I only own one since I keep giving them away. Everyone should knit this hat at least once in their knitting lifetime. Ravelry notes are here. I finished The Sound and the Fury by William Faulkner over the weekend. It was a difficult read in the beginning but it was worth it. I've never met more miserable characters in a long time. I want to read it again but not for now, I need a break from thinking. If you're up for a reading challenge this is the book for you! This week's book is a non thinking book. The Last Time I Saw You by Elizabeth Berg is light and airy and it's perfect for entertaining me while I recover from Faulkner's vivid images and writing style. Love the yarn Karen and yes I must have a go at that hat. My needles are empty at the moment and I'm longing to get some yarn to start the Clarity cargidan but we have a few DIY projects to do whilst Ahmad's on holiday so it might be a while before we can do any. Hope you enoy your new novel. William Faulkner is one of my favorite Southern writers. But he's pretty intense isn't he? Thanks for the book recommendation! I will put it in my que . . . she is one of my fav authors. I started The Engagements by J. Courtney Sullivan last week at the beach. I would highly recommend! 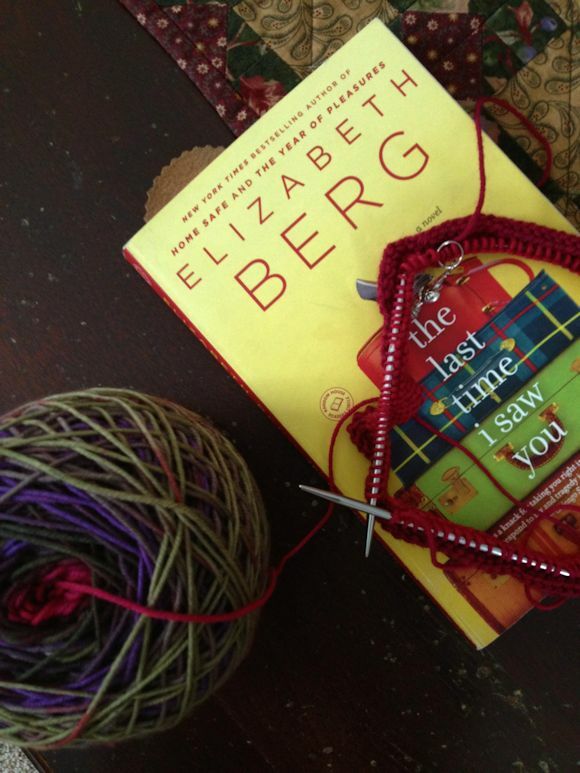 I love Elizabeth Berg books for the same reason - easy reads. Is that yarn Zitron Unisono? Love the yarn and that hat, it is in my favourites so it is good to hear good things about it. Thank you for the book recommendation. Wurm really is a great hat, isn't it??? I've only made one, but I'm sold on it!! Love the colors you chose. Of course, you cast on for something new!!! No explanation needed here! , believe me. I really like Elizabeth Berg, too.....not sure I could have stuck with William like you did. Maybe if the right mood hits....???? That does look like a fun hat to knit! I do the same thing. I have this need for instant gratification and cast on something quick. Then I'll go back to the original project. It's always fun to start something new, isn't it? I just finished The Lost Wife by Alyson Richman. It was sad but very good. Now I'm reading The Endless Forest by Sara Donati, the last in a good series that I started a long time ago. I, too, like Elizabeth Berg! I am trying to focus on finishing the current projects on the needles instead of starting a new one. I bought the yarn, but am resisting for now. Mama needs to finish her own sweater before knitting for others again! Love your yarn! I try not to take breaks from projects (it tends to just slow me down and I get nothing done instead of being refreshed to go back to my first project.) But I totally know the feeling... and did take a break on my FLS earlier and will probably take another at some point in the sleeves. Have noted the hat pattern! do show us the final result! :) I can imagine that Sound and Fury is a very intense book! I have put the hat in my queue on Ravelry. Hopefully, I'll be able to knit it sometime soon. I love the yarn you have for the hat. 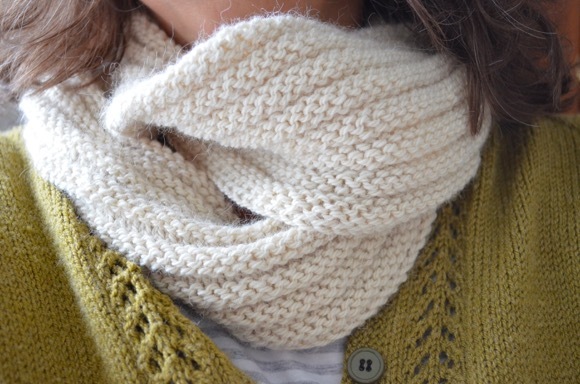 I spent some time touring your blog and found the Cinder Block cowl. It looks like something I may be able to tackle. I found your blog through Ginny's yarn along. The dreaded sleeves - I know this all too well, as you know! You're coping with more grace than I did. Your hat looks like a great inbetween project to take the edge off. I am just peeking in on everyones progress this Wednesday. I should be working on my Grocery bag rug...yes frugal me is knitting with plastic bags. 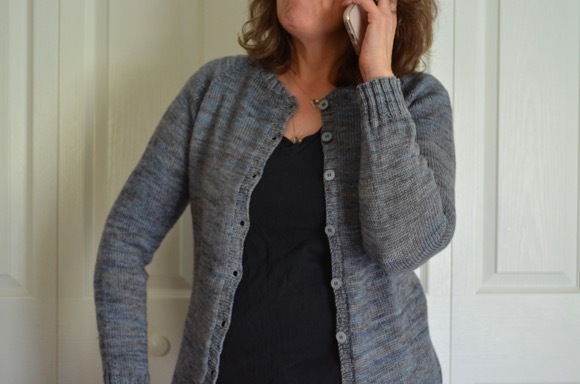 You know I have the wurm pattern saved, I've printed it for my Mom, but I have yet to knit one for myself. Hmm. I like the colors in the yarn you're using! Looks like your Wurm will be gorgeous colours. sleeves will wait, your sweater will be ready when the weather cools. I would buy that book just for the cover. And the Wurm has been queued! Can't wait to see yours knit up in that yarn. I went to your Ravelry link and I do love that hat! Thanks for the pattern recommendation - what do you love about this particular pattern? The process or the finished product? Isn't it funny how our reading vacillates between thinking and non-thinking material. I do the same thing. Oh, Karen, first the citron and now wurm-must you keep bringing up patterns deep in my queue. I was "gifted" that hat by Rachel over at House Full of Jays. I love the hat she made me!